Internet access on Laptops, PCs or Mobiles is quiet common these days. According to a rough estimate around 85% of the users wired connections other than wireless because cost is very low. But the cost will increase when one accesses internet through routers and paid softwares. But you don't need to worry, in today's my guide I have found some ways to create Wi-Fi hotspot for free. After reading this guide you will be able to share any type of internet connection (Cable Modem,Wi-Fi, LAN, Cellular,Dial-up etc). 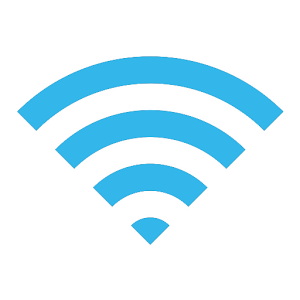 You can use any Wi-Fi featured device such as Laptop, Android Phones, iPod, iPhone, Netbook, Wireless printer. Note:- Before reading ahead I want you to make sure that you are having a laptop or PC with a wireless card in it that is not currently connected if your laptop is connected to the wired network. Your wireless card should be free, and you can use it to allow access to the internet. First of all press Window key + R, type cmd and press enter. Enter this command directly in your command prompt netsh wlan show drivers (This command will test whether your PC or Laptop supports Wi-Fi hotspot or not. Look at the image below if it shows Yes then you can create a Wi-Fi hotspot from your laptop or PC if it shows No then you can't create a one. Now enter this command netsh wlan set hostednetwork mode=allow ssid=Enter the ssid name here> key=your password. Change "Enter the ssid name here" with your ssid name and "your password" with any password you want to give it. Press enter and now it will show some notifications such as The hosted network mode has been set to allow, The SSID of the hosted network has been successfully changed, The user key passphrase of the hosted network has been successfully changed. In order to start your newly created network type this command netsh wlan start hostednetwork and press enter. 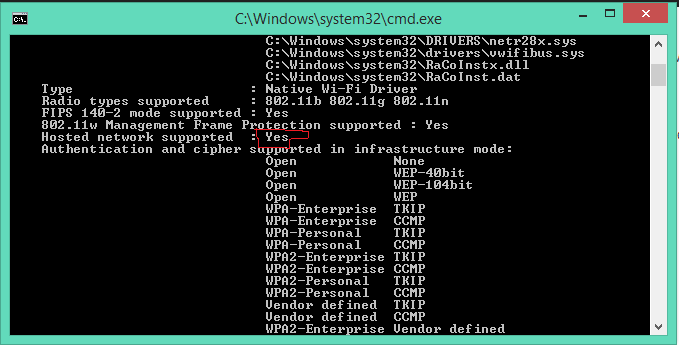 It will show like The hosted network started, now you can close your command prompt. In order to share your internet connection via this hotspot just go to the Network and sharing center and click on Change adapter setting. Now right click on the Connection that you use to connect to internet and select properties. In properties go to Sharing tab and check the box "Allow other network users to connect through this computer's internet connection and select the network connection name that is used by your hotspot. (For this check the Network Connection Window and look for Connection which says Microsoft Hosted Network Virtual Adapter). Simply save it now and your internet connection is shared now. First of all download virtual router plus from here. Install the software on your system. Now open VRP and type the name of desired ssid and your password and click on Start Virtual Router Plus. That's it your hotspot will be ready in seconds to share your internet connection. First of all download connectify software from here. Install the software on your system and restart your Laptop or PC. After the installation is complete open the software on your system and enter your Hotspot Name and Password then click on Start Hotspot. Note:- This software is paid but if you will ask me should I pay for it or not then I will suggest you to purchase a copy for you because according to me this is the best software available in the market. So this was all about how to create free wifi hotspot on windows xp/7/8/8.1. Feel free to comment below if you face any problem.